The beautiful Cornish coastline welcomed us as we cruised towards the River Fal. I had forgotten what a beautiful, lovely area Cornwall is. 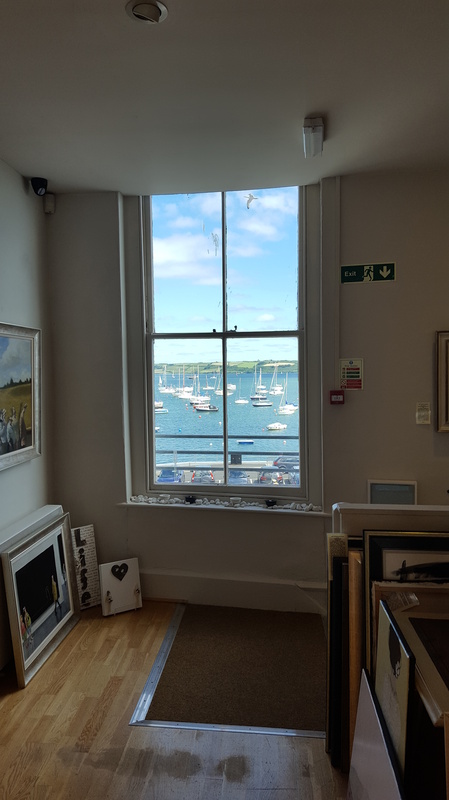 Falmouth is the gateway to the River Fal and is known for art galleries and maritime heritage. 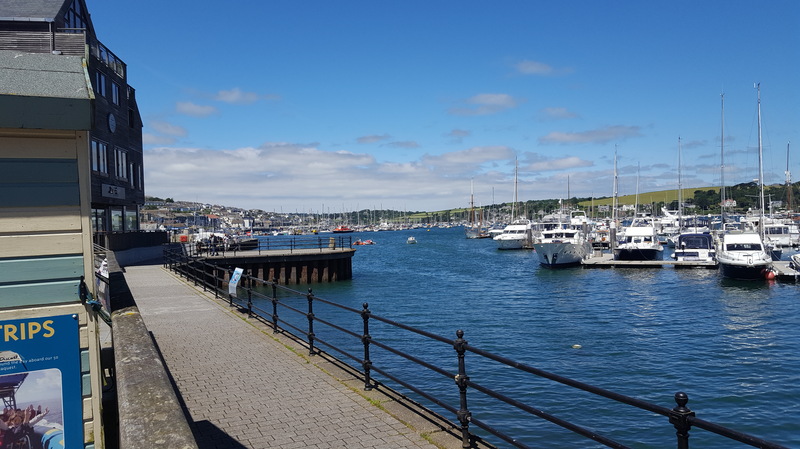 The area also has some fantastic beaches, shops, pubs, restaurants and known for natural beauty and ideal for walks and family activities. As well as all of the above, it has the world’s largest natural deep-water harbour and is the country’s first and last port. We spent a wonderful day exploring the harbour, independent galleries, shops and of course, pubs. Of course, we spotted a world famous pasty shop and had to have one. It was delicious! This pub had been recommended to us and I can see why. It is a pub with a book shop inside, which is my idea of bliss. People were reading, playing chess, and drinking some amazing beer and perusing the books. 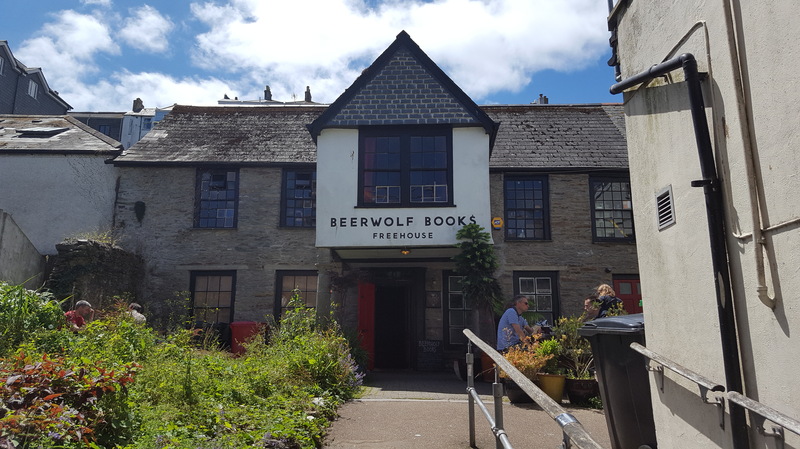 After visiting the above, we had a quick look around the local art gallery, some more interesting shops and galleries and then into another cool pub with copious amounts of beer. By this time I was feeling jaded so settled for a coffee. We gleefully spotted an empty table outside and plonked ourselves down. It was then, I spotted a tiny canvas bag by our table. I was just starting to have thoughts about it being a bomb, when a bloke appeared grumbling under his breath and so we quickly made noises about how we didn’t realise it was his table. We truly didn’t. He then gave us permission to sit there anyway. Jolly nice of him. Looking back, I think he left his bag there to reserve the table and then went and got a drink because he wasn’t in the bar when we were getting our drinks. Flipping hipsters. I turned away to watch the even happier people in the cool cafe opposite only to see two aging hippies proudly showing off their hairy armpits. Oh joy. We finished our drinks and walked back through the town towards the beaches and took some great photos of the pretty coastline. 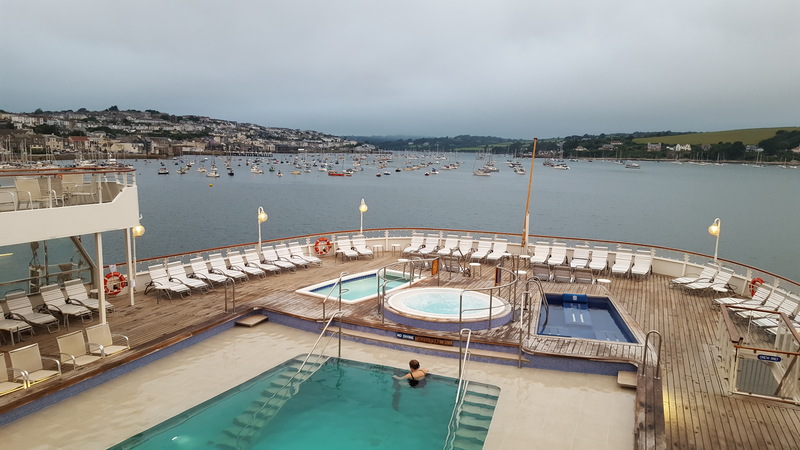 An enjoyable start to the holiday and here is a picturesque view of Falmouth during the evening back on the ship. The next stop was Tobermory, Isle of Mull, Scotland. Thanks for reading the #mishmashblog and don’t forget to follow! Enjoyed this post. Looking forward to reading your experiences in Iceland and the Faroes. Thank you Tom. There are several posts to come. The next one will publish later on today.